Coffee is without a doubt one of the most popular beverages in the entire world. 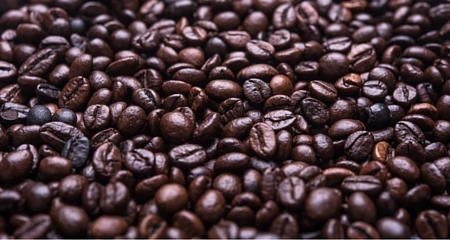 People drink all kinds of different coffee bean types and there are thousands of businesses that are built around the production, distribution and sale of the beans that are needed to make these drinks. To address this issue, some coffee shops and bean suppliers could turn to urban agriculture as a means to move the beans closer to the consumer. Depending on the climate of the city, an urban agriculture system could be one of the most efficient and environmentally friendly options for meeting at least some of the coffee needs for a major city. In places where the climate is suitable, people could find open plots of land or areas that are not being used to their full potential. In these places, urban agriculture could be used to produce coffee beans. Additionally, there is the option of rooftop farms and greenhouses. While the many different options for urban agriculture are unlikely to meet the entire demand for coffee in most major cities, it can work to reduce the carbon footprint of a significant portion of the beans being consumed to a considerable degree. Now, in warmer climates that are closer to the equator, this solution will be much easier to achieve, but a city that is located in a cooler climate will still have come options. The big challenges for those who attempt to grow coffee in a cooler climate will be the winter. In some cases, the challenge may be so great, that it could be prohibitive to the process. However, if you can find a way to provide the trees with adequate heating during the winter, then there is a possibility that it could work. As an example, if the trees are in a greenhouse that is near a building that uses a refrigeration system, then the waste heat from the coolers could potentially be piped into the greenhouse to keep the plants at their optimal temperature. Depending on the conditions, a business that operates in a city could meet a significant percentage of its coffee bean needs by using urban agriculture. If successful and if handled correctly, this could save the company money, it would reduce the carbon footprint of the business operation and it could be used as a valuable marketing tool. Many consumers like products that are grown locally and will go out of their way to purchase from businesses that take efforts to reduce their impact on the environment. Using urban agriculture to reduce the carbon footprint of coffee is possible, but it will take some effort. An individual or business will need to find the space, assess whether the climate is conducive to coffee growing and finding solutions to the challenges that may come with the operation.